There is increasing pressure from funders, publishers, the public, universities and other research organisations for researchers to improve their data management and sharing practices. However, little is known about researchers’ data management and sharing practices and concerns. The research reported in this paper seeks to address this by providing insight into the research data management and sharing practices of academics at ten universities in New South Wales, Australia. Empirical data was taken from a survey to which 760 academics responded, with 634 completing at least one section. Results showed that at the time of the survey there were a wide variety of research data in use, including analogue data, and that the challenges researchers faced in managing their data included finding safe and secure storage, particularly after project completion, but also during projects when data are used (and thus stored) on a wide variety of less-than-optimal temporary devices. Data sharing was not widely practiced and only a relatively small proportion of researchers had a research data management plan. Since the survey was completed much has changed: capacities and communities are being built around data management and sharing and policies, and guidelines are being constructed. Data storage and curation services are now more freely available. It will be interesting to observe how the findings of future studies compare with those reported here. Kirsty Williamson, Graeme Johanson, John Weckert and I have just had a paper from our citizen science work accepted for publication by JASIST. It’s been a great project which hopefully can be continued. The paper addresses data sharing by citizen scientists particularly focusing on independent citizen scientists – that is those who work on their own or as part of a voluntary environmental group rather than as a part of a formal citizen science program. We contend that these citizen scientists can make a significant contribution to science with their data which can contribute to aggregated datasets used in data-intensive science. The paper reports three-phase project Conducted between 2011 and 2013 within a large environmental voluntary group, the Australian Plants’ Society Victoria (APSV), the interviews of the first phase are the major data source. Because the project revealed the importance of data sharing with professional scientists, professional scientists’ views are included in the literature review where four themes are explored: lack of shared disciplinary culture; trust; responsibility and controlled access to data; and describing data to enable reuse. The findings, presented under these themes, revealed that, within APSV, sharing amongst members is mostly generous and uninhibited. Beyond APSV, when online repositories were involved, barriers came very strongly into play. Trust was weaker and barriers also included issues of data quality, data description, and ownership and control. The conclusion is that further investigation of these barriers, including the attitudes of professional scientists to using data contributed by citizen scientists, would indicate how more extensive and useful data sharing can be achieved. CSU has been participating in an Australian National Data Service (ANDS) funded Open Data Collection Project. The first dataset included was from Roshan Thapa’s PhD and the second set was our survey on research support services. Both can be accessed from RDA https://researchdata.ands.org.au/dr-roshan-thapa/477630 or https://researchdata.ands.org.au/academic-library-survey-research-management/477634 via CRO, CSU’s institutional repository. Part of the service is to create a Digital Object Identifier (DOI) which can facilitate data citation. Citing data is increasingly being recognised as one of the key practices leading to recognition of data as a primary research output. Thapa, Roshan ( 2015 ): Botanal and Seedling Data: Rehabilitation of perennial pastures PhD Project. Charles Sturt University. URI: http://researchoutput.csu.edu.au/R/-?func=dbin-jump-full&object_id=67852&local_base=GEN01-CSU01. Kennan, Mary Anne ; Corrall, Sheila ; Afzal, Waseem ( 2015 ): Academic library survey responses data: Research support services, including bibliometrics and research data management. Charles Sturt University & University of Pittsburgh. URI: http://researchoutput.csu.edu.au/R/-?func=dbin-jump-full&object_id=67918&local_base=GEN01-CSU01. DOCAM 2015 and RAILS 2015 are pleased to invite submissions from doctoral students in information/document studies or a related discipline to attend a joint Doctoral Forum on the afternoon and evening of 22 July, 2015. Prospective doctoral students developing a PhD application for 2015/16 are also invited to apply. The aim of the forum is to provide a supporting environment where students can discuss their research and receive mentoring and advice from an international panel of senior researchers. 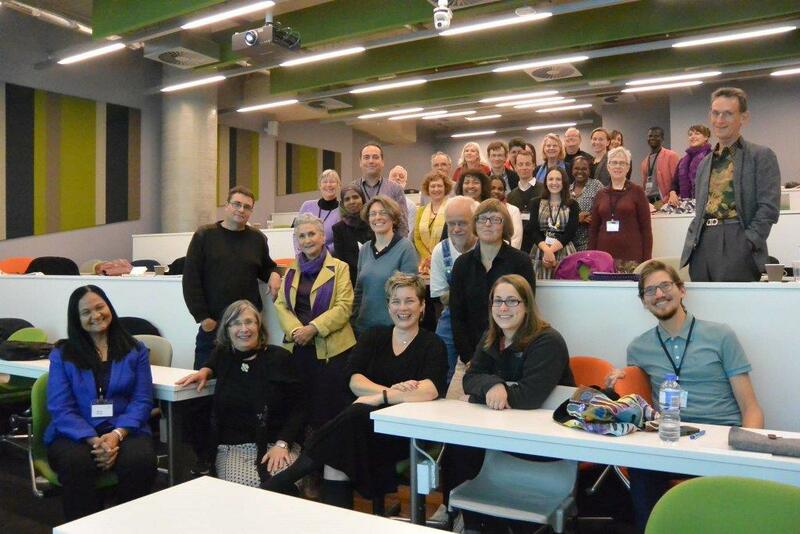 This is a special shared event co-hosted by the 12th Annual Conference of the Document Academy, 20-22 July, 2015 and the Research Applications in Information and Library Studies Conference (RAILS), following DOCAM from 22–24 July, 2015. Both conferences are sponsored by the Faculty of Arts and Social Sciences, University of Technology, Sydney (UTS), and the School of Information Studies, Charles Sturt University (CSU). The doctoral forum is open to students enrolled in a doctoral program in any of RAILS and DOCAM’s cognate disciplines (e.g. Information Science, Information Systems, Librarianship, Museum Studies, Rhetoric, Document and Media Studies, Information and Computer Science). The forum is included, at no additional cost, for students registered to attend DOCAM 2015 or RAILS 2015. The doctoral forum will be led by Professor Pamela McKenzie (University of Western Ontario, Canada) who will be joined by senior academics in the field, including Dr Michael Olsson (UTS, Australia) and Professor Lisa Given (CSU, Australia). To be considered for this event students must submit an abstract outlining their Doctoral research, including the stage of their research that they are currently undertaking and the particular challenges they are facing that they would like to discuss and seek advice about . In addition students attending DOCAM will be given the opportunity to present a poster that introduces their PhD work during DOCAM 2015. Space in the Forum will be limited and, given the interactive nature of the forum discussion, students should be prepared to present on and talk about their research. Students should provide a brief overview of the nature of their project (research problem, methodology/method, theoretical framework, etc. ), a description of their intended poster and explain why they would benefit from participating in the event. Please see the EasyChair Submission Instructions for details, prior to submitting your abstract to the system. Note in front of your title proper, please type these words: Doctoral Forum. Doctoral forum abstracts (a combined 500 word description max.) must be in the word format. References may also be included, beyond the allowed 500 words. We look forward to meeting you at DOCAM 2015 and RAILS 2015. Many of the authors have also placed their author final versions in their repositories for those without subscriptions (see below for links). This issue focuses on research support services in academic libraries. We released a call for papers in the middle of 2013 expressing an interest in papers investigating research support services in academic libraries. Interestingly, most of the papers we received were about scholarly communication, particularly open access – clearly areas of great importance and activity in the academic library world. The other papers in this issue report on awareness of a research data management services in South Africa and a research impact measurement service in Australia, also areas of increasing interest in academic libraries.